August 17, 1924, EP Van Duzee. 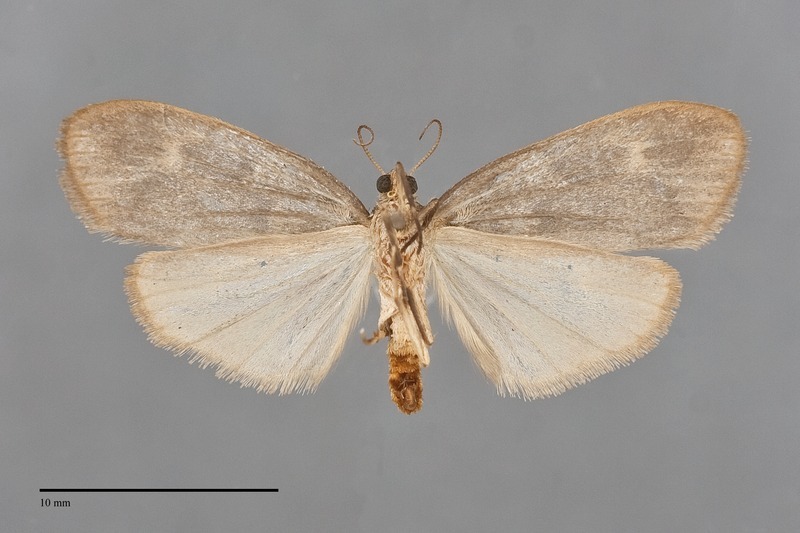 Bruceia pulverina is a small (FW length 11 mm) rounded-winged smudgy yellowish and brown tiger moth. 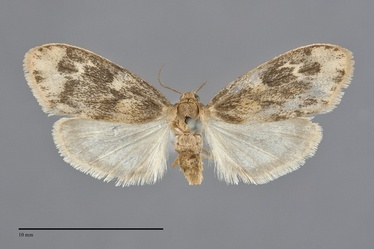 The forewing is light yellow tan with powdery dark gray brown markins over the basal wing (to the postmedial line) and at the base of the fringe. The discal spot is a pale zigzag line and the orbicular spot is evident as the light yellowish filling without a dark outline. The hindwing is translucent pale yellow gray, strongest yellow at the outer margin including the fringe, with a pale gray marginal band. The head and thorax are medium tan, with a slightly lighter abdomen. 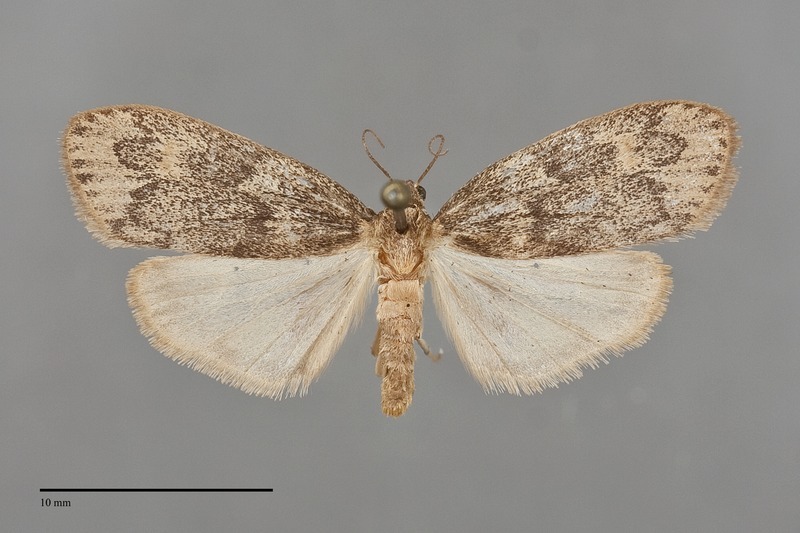 No other Pacific Northwest macromoth species are likely to be confused with this species. 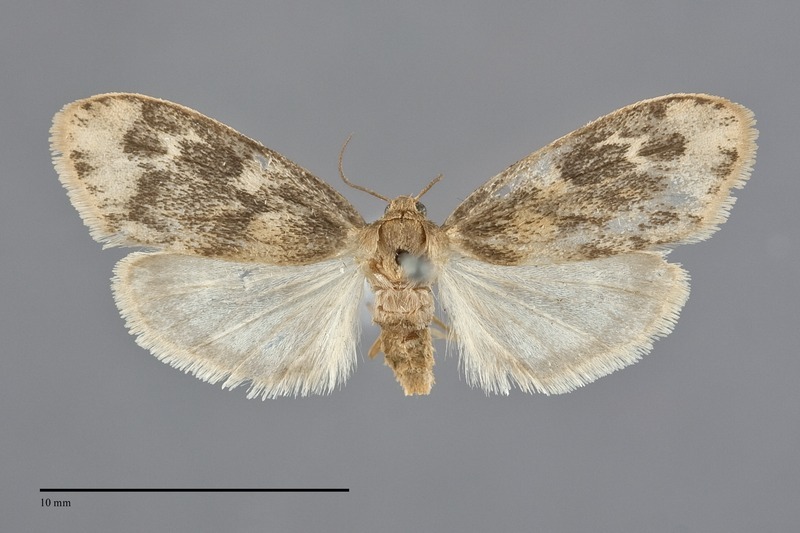 It is more likely to be mistaken for a micromoth (many families of small moths not included in the scope of this project) due to its small size and dingy color. The life history is unknown. No information is presently available for this species. 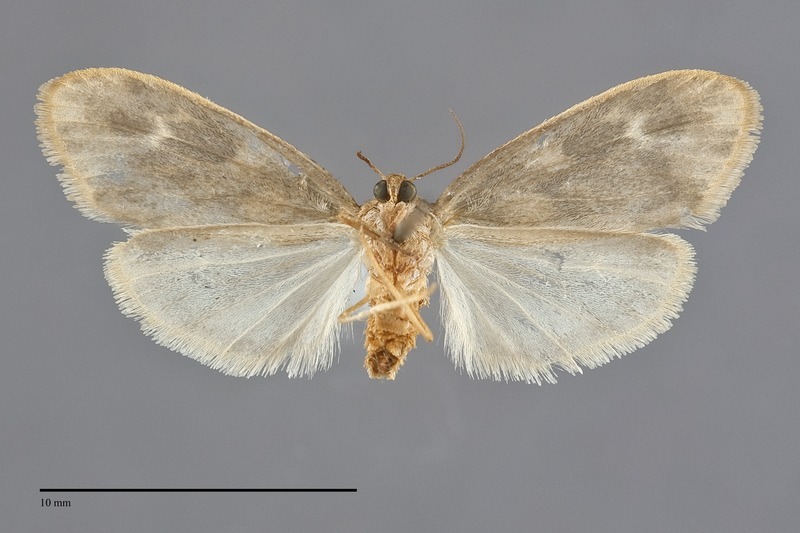 Bruceia pulverina has been found in southern British Columbia and in northwestern Idaho. It is rarely collected but might be more widespread in the eastern part of our area than the records suggest. The most northwesterly records are from the vicinity of Lillooet, British Columbia. The range of this species extends south in the Rocky Mountain states to the Mexico border in from southern Arizona to west Texas. Adults have been found from mid July to mid September. It is nocturnal and comes to lights.